The feminist art work displayed in this exhibit imagines memory as part of a larger politics of resistance. It mobilizes memories of past and present violence precisely to create the conditions and the motivations for social change. Bringing together women artists many of whom are themselves direct witnesses to oppression and terror, the exhibit also reveals moments of resilience, resistance, and creative survival. The artists gathered here use memory in innovative ways. They foreground unofficial acts of witness and forms of commemoration–embodied practices, performances, photography, testimony, street actions—that provide alternative histories and different political imaginaries than do official archives, memorials, museums, and state commemorations. They make visible not only violent crimes and their gendered dimensions, but also the intimate texture of lives and communities that have survived or are fighting to survive immense destruction. In honoring those lives and bringing them out of oblivion, the artists also reclaim women’s practices—dance, song, embroidery, for example—and show their political resonances. As a group, these artists resist monumentality in favor of intimacy, featuring individual stories of the quotidian. They use official archives to document and contextualize those lives, but they also create new archives and alternative interpretations, reframing how we understand the past and pointing to what has been excluded from authoritative histories. They thus imagine alternative social and political trajectories and more open and progressive futures. 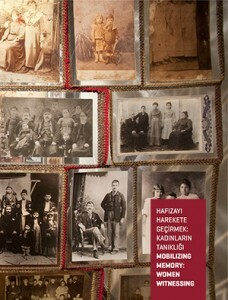 Co-hosted by Columbia Global Centers | Turkey, DEPO Istanbul and Sabancı University Gender and Women’s Studies Forum, the exhibition and parallel activities have been supported by the the Center for the Study of Social Difference, Blinken European Institute, Sabancı University, Hemispheric Institute of Performance and Politics, the Truth Justice Memory Center and Friedrich-Ebert-Stiftung Turkey Office.